The beauty of this clock is undeniable. Cuckoo Forest is a great place to order this magnificent clock. 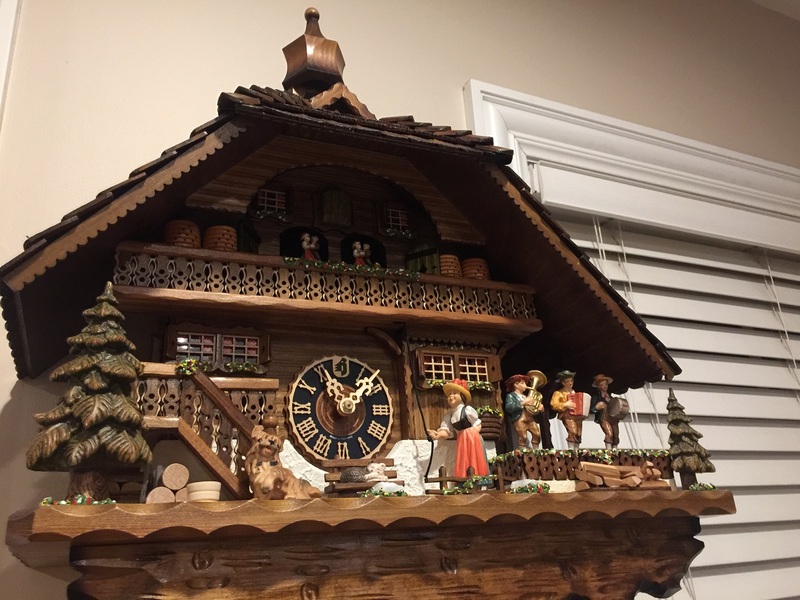 I ordered from them and will again because of the great service and even more beautiful clock. It is a beautiful clock that will replace all my other clocks in the house. It has five moving parts and dancers. This clock plays music and has beautifully rendered pieces. 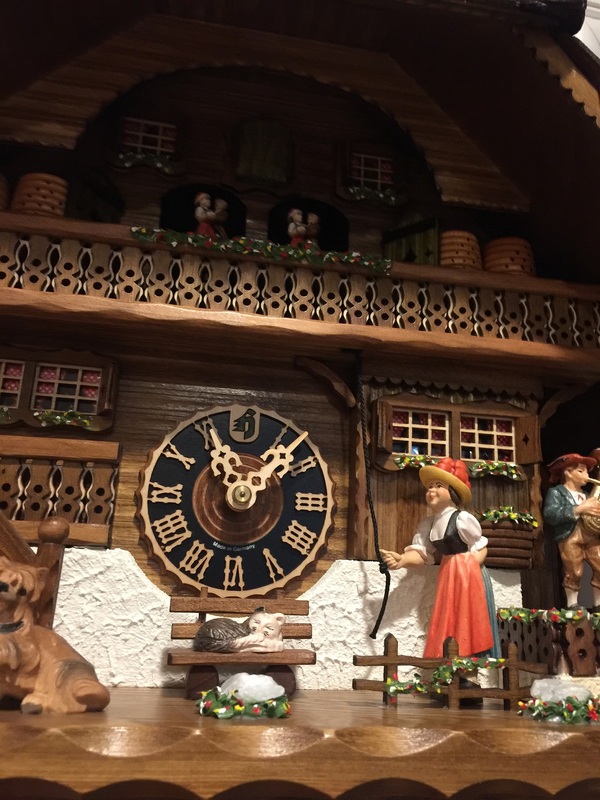 Made from wood in the black forest you are sure to love this clock as much as I do. This clock brings life into any room that it is put in. It is by far the best purchase I have made to date. The way the clock’s music flows and brings happiness and joy to the room makes it the best possible thing I have ever ordered. My kids love it because of the moving parts and music. It engages them into the clock and they ask questions as to how it came to be that way or were people really dressed like that? I have the opportunity to teach my children some history because of this clock. This clock is super easy to use because it is an eight-day movement with brass weights. Every eight days I am winding the clock instead of one day. That is not the best part though, the brass weights that help keep time are beautifully rendered. The time is also kept the same as every other clock in the house, it keeps time very well which amazed me! It is super simple to learn how to wind as well, if I can do it, anyone can. I love how beautiful and easy it is to use. 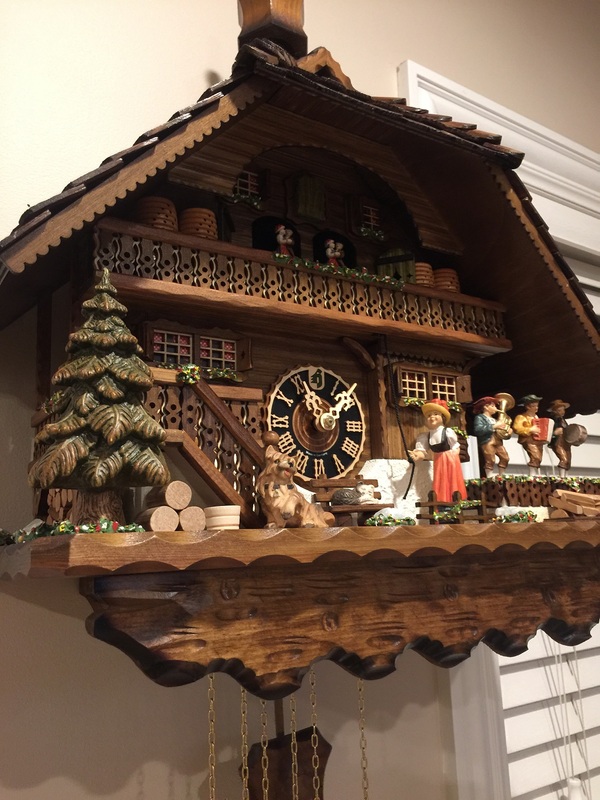 In our house on the hour we stop and listen to the clock, it is like a tradition now. My children love the music just as much as I do but I think they love the moving parts just a little more than I do. I will defiantly buy another clock from Cuckoo Forest; their products are of amazing quality. This clock was built very sturdy and reliable. The shipping from Germany to here was very quick and nothing was damaged. It even came with instructions on how to properly hang the clock to ensure it does not fall due to its heavier weight. I am so thankful that it came with instructions because I would have hung it wrong!